Fulbright scholar and Entrée to Black Paris intern Sonita Moss is conducting follow-up interviews with several of the women featured in our Black Paris Profiles™ interview series. Today's article features artist and curator Cheryl Ann Bolden. 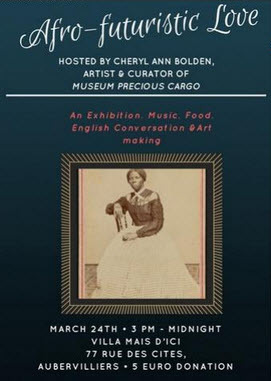 For instance, she was the first African-American woman to open shop in the heart of downtown Charlottesville, the first iteration of the Museum Precious Cargo. But the seed of the idea was planted when Bolden began working as a tour guide at Ash Lawn, the plantation of Former President James Monroe. She felt there was something lacking in the tours; a glaring absence of chattel enslavement that spanned over two centuries in the United States. “The tours said nothing about slavery, even though it talks about all kinds of history, it didn’t talk about slavery, so I started to research about it. I see myself as a real American woman, so taking the job, I didn’t think about the negative consequences. 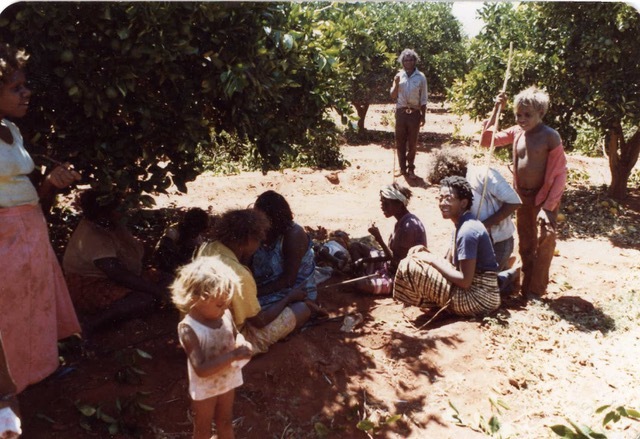 White folks would ask me, ‘oh are your ancestors here?’ They wanted to know but they were nervous. Bolden’s steps to change the tours was successful in some ways, but she did not stay long. Rather than being perturbed by her loss of work, Bolden took the advice of a friend and took curating history into her own hands. Bolden was invited into local schools to bring the artifacts of American history and African-American history into view. Before long, she was traveling around the world with her “moving museum,” going to countries like Wales, Australia, Portugal, and the Honduras. Bolden moved to Paris in 1997 and raised her “ultimate creation,” her daughter Marlene, whose father is British, here in Paris. However, she never stopped seeking opportunities to travel with her museum as an educator, installation artist, and curator. 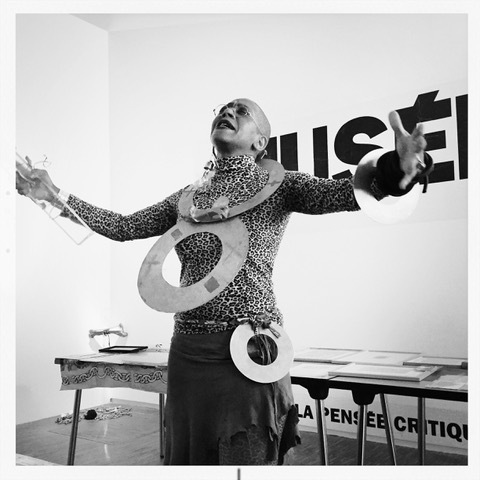 Today, in addition to educating through her non-profit Association Musée des Diaspores Africaines, Bolden teaches English and hosts events in her atelier, La Villa Mais D’ici. The latest event, “Afro-Futuristic Love,” was held on Saturday, March 24. Guests were invited to the spaces to eat snacks, view some of the museum’s artifacts, and have a conversation about topics such as feminism, and differences between experiences of white women and black women for a small donation of 5€. Self-confidence is key to unlocking one’s potential and Mme Bolden’s legacy is evidence of that.